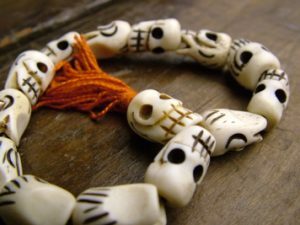 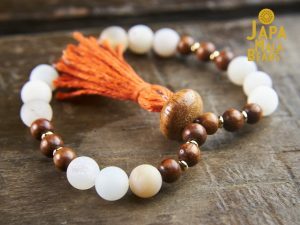 Made from gemstone, bone, wood and sacred seed beads our mala bracelets or hand malas are easily worn around your wrist. 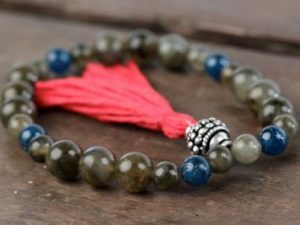 We use strong, durable and flexible elastic cord for stringing our yoga beads to allow them to fit over your hand and still stay comfortably snug on your wrist. 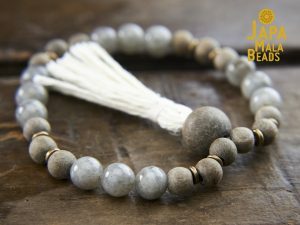 We handcraft most of our yoga bracelets in the USA with eco-friendly hemp tassels. 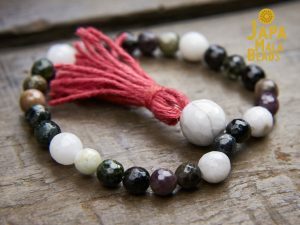 Due to their size, our wrist malas can easily be stored in a mala bag or pocket when not in use. 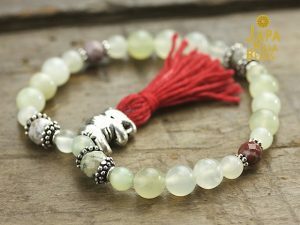 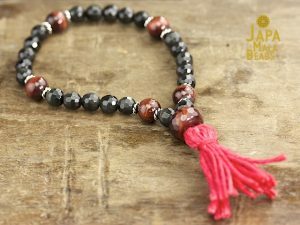 We have found that yoga bracelets can be a bit easier to use with japa meditation (mantra chanting) as you do not have to manage the long hang of 108 beads. 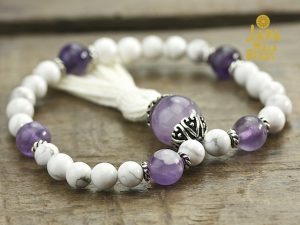 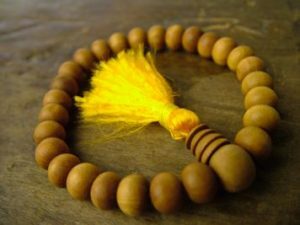 If you are doing a large number of repetitions of 108 mantras then using wrist malas can create a challenge of keeping track of multiple mantra rounds. 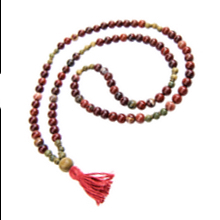 Due to the natural materials used the color and marbling of our mala beads may vary. 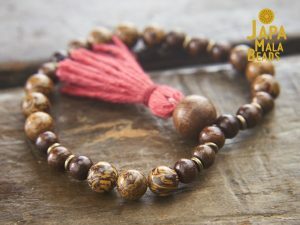 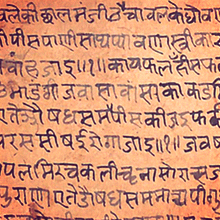 Unless noted all of our wrist malas contain 27 counting beads and one guru or meru bead. 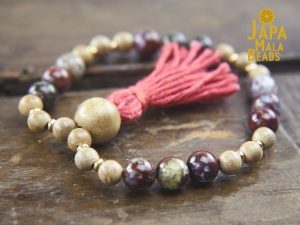 Check out our extensive collection of hand-crafted mala bracelets below. 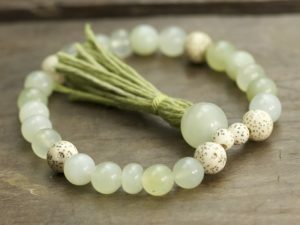 All of our yoga beads are uniquely designed and made with the highest standards of quality, beauty, and function. 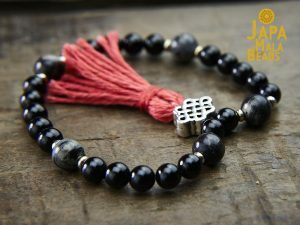 We hope you find the perfect mala to enhance your meditation practice and empower your spiritual goals.